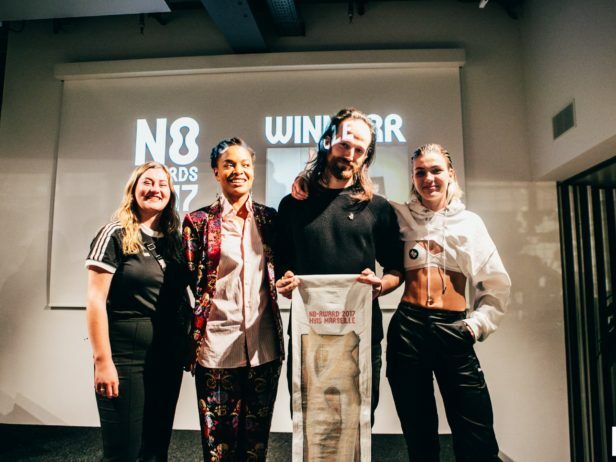 WOW is very proud to announce that together with Huis Marseille, our joint Museumnacht 2017 programme received an Honourable Mention during the N8 Awards. Thanks to amazing work by Laura A. Dima, Ting Gong, Alban Karsten, Juna Leocaria and Klara Ravat! Read the full jury report here. Relive the night with pictures. Spatial designer Laura A Dima will initiate you into this magical event through a ritual at the door. Visual artist Alban Karsten creates a site-specific performance, The Guide, during which he will investigate the space of the museum together with the audience. Fragrance designer Klara Ravat, inspired by the Seaford beach breeze tangible in the exhibition Landscape with Tree by Jamie Hawkesworth, will design a smell specific for the evening. Fashion designer Ting Gong will guide you to another planet with the presentation of her new collection Readynotreadytowear. Dancer Junadry Leocaria together with Tamara Robledo Oud will perform a duet inspired by the many female bodies and minds presented in the photographs in the exhibition.